Looking for the best printer for home or office? A printer is needed for a family because you will have to print something regularly such as work document, homework, assignment, project, advertisement, picture, CD, name card, and so on. Today we will be checking the top 5 best printers. I made this is based on my personal opinion and I’ve tried to list printers for each home use, personal use, and office need. We have the HP Officejet Pro 8710, a quick printer, which has a lot of functions such as copy, scan, fax, wireless printing, air print, two-sided, optics printing, color, touchscreen, and many more things. What I like about the printer is the instant ink feature which will order ink for you automatically when it runs out. Of course, this feature can be turned on and off anytime you want, and you can also manually order if needed. You can print directly from a smartphone or tablet with the HP ePrint application, and in my opinion, this is a great feature which saves a lot of time and makes everything much easy. HP Envy 4520 printer has almost the same feature as the Officejet Pro 8710, but it is a bit small so that means it’s more convenient for smaller objects. It has a two-sided printing feature which will allow you to print on both sides of the page, so you won’t waste as much time as other printers do. The HP Envy 4520 has a 2.2-inch touchscreen display, which makes creating scanning or copying very easy. It can print up to 9.5 pages per minute in black-and-white and 6.8 color pages per minute. Space isn’t that great but unless you’re printing hundreds plus pages at once you will need the highest rate than that. Next up at number 3, we have the Brother HL-l2340 DW. This is a monochrome printer, which means that it can only print in black and white, but it’s extremely durable and this is the reason why this printer is on the list. The brother HL-l2340 DW is a fast reliable monochrome printer designed for the small offices and home usage. 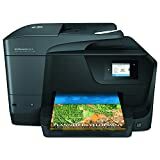 This is the perfect printer for people that work with black and white pages only because it can print up to 27 very sharp black and white pages per minute. Those are automatic duplex printing feature which means it can print on both sides of the printing. At number one, we have the Brother MFC J985DW XL. This printer is unique and what’s so special about it is that it comes with the 12 ink vestment cartridges and if you print less than 300 pages a month, they will last you for approximately two years. Earlier I mentioned that the brother printers are very durable and high quality and I want to repeat that because this thing is the same. 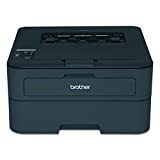 The only brother printer we mentioned in this video was a monochrome printer and that’s why we rank it as a number 3, but this one is a color printer and I would say that it’s fully deserved a number 1 spot, honestly. 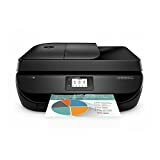 That’s all the top 5 best printers in 2019 for your lovely home and perfect office. As you have understood the best features of each printer, you can now decide which printer you are going to get for yourself, your family and your office.